On-call access to your midwife is an aspect of care that is offered throughout your pregnancy, labor, and postpartum period. If you have any questions or concerns, please do not hesitate to contact me throughout your care. Through this independent home birth practice, I provide hour long prenatal visits in my home office or your home, depending on your transport availability and circumstances. I follow the current guidelines for prenatal care: monthly visits until 28 weeks, biweekly from 28 to 36 weeks, and weekly visits from 36 weeks and beyond. During these visits, we have the opportunity to discuss your well-being and your family’s well-being as well as checking your blood pressure, drawing labs as indicated, palpating fetal position, measuring for fetal growth, and listening to your baby’s heartbeat. We discuss in detail optional screening and tests throughout your pregnancy. I do not make decisions for you, but rather help you reach a conclusion that fits your family best through discussion, education, and access to research and resources. You and your family are also invited to attend the prenatal home birth group conversations that take place the first Sunday of every month from 1:30pm – 3:00pm at Happy Bambino located at 4116 Monona Drive. Midwives in the community rotate throughout the year to co-facilitate these conversations and invite any clients to attend, providing the opportunity to connect with parents making similar decisions. At your initial visit or consultation, I will provide you a copy of the Rules and Regulations for Licensed Midwives in Wisconsin to help clarify in what circumstances we are required to consult with a physician or certified nurse-midwife and in what circumstances we are required to transfer care. One of the most unique aspects of the Midwives Model of Care, is the continuity of care you receive from pregnancy and labor to postpartum. We often have time to discuss signs of labor and when to call me to your home. Once labor begins, we may talk on the phone a few times to assess your place in labor and your desire to have your midwife there with you. I deeply encourage you to have the people around you who are most supportive to you and your needs. Once I arrive, I assess your vitals, the baby’s position and heart beat, your general well-being & the baby’s, as well as your emotional well-being. I continue to assess at regular intervals and as needed. 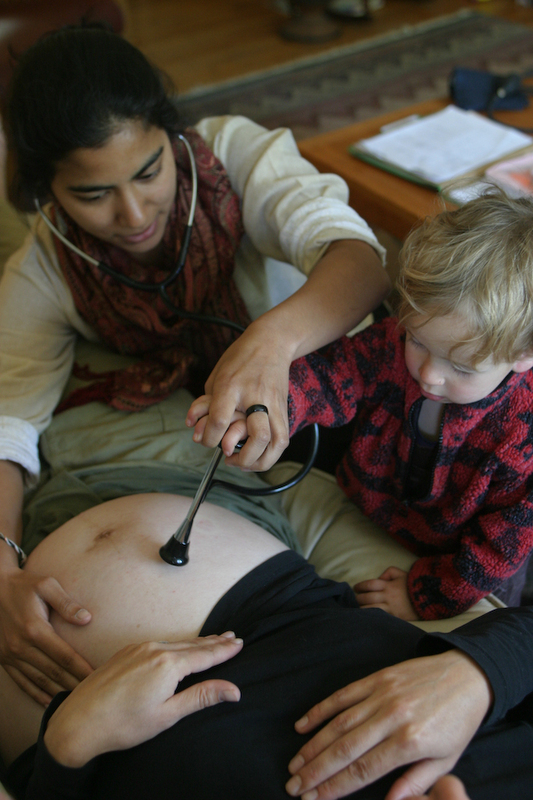 I practice in a supportive, hands-off way that gives space for your body to lead you through labor. After the birth of your baby, we assess your vitals and your baby’s vitals, attempting to minimize interruptions in your bonding with your newly born baby. It is a community standard that at the time of your birth, I will call another skilled assistant to assist me. In the event of labor complications, we will discuss the need for transfer of care together. In non-emergent situations, I will help facilitate transfer in your private vehicle and consult with a midwife or physician on-call at the admitting hospital. I will remain by your family’s side in these situations, if you so desire. In emergent situations, I will call 911 to assist in the transfer and can stay with your family in an advocacy role to provide support throughout the process. I encourage initiation of breastfeeding shortly after the birth per your newborn’s cues and help you maintain skin-to-skin contact with your child. A few hours after the birth, I conduct a thorough newborn exam and honor the screening and testing choices you made for your newborn during pregnancy. If I have any concerns during the immediate postpartum period or during the newborn exam, I will communicate directly and honestly with you about the options available. I will remain at your home until you and your baby are stable and comfortable. Often, this is a few hours after the birth. Within these hours, I will assist in the placental delivery, assess newborn vitals, your vitals, bleeding levels, and the presence of any lacerations. I will return to your home within 24-36 hours and again at 72 hours to assess breastfeeding, newborn jaundice, and general newborn health. In addition to newborn health, I will assess your well-being at these postpartum visits. I am able carry out all newborn screenings in your home, should you desire these screenings for your child, and file a birth certificate worksheet for your child. I will return to your home at 1 week or 2 weeks postpartum and schedule our final postpartum visit at 6 weeks. Should you choose to see a physician at any time during your postpartum period, I am able to fax pregnancy, birth, and newborn records to your provider. Access Midwifery invites all past and current clients to the annual home birth potluck in June, where all independent home birth practices and their clients gather to celebrate the growing home birth community. The picnic is typically held the second Saturday in June each year at Orton Park in Madison, Wisconsin. As one of a few women of color Licensed Midwives (LM) and Certified Professional Midwives (CPM) in Wisconsin, I went into midwifery care to make this type of individualized, person-centered care accessible for any family, regardless of income, background, or skin color. 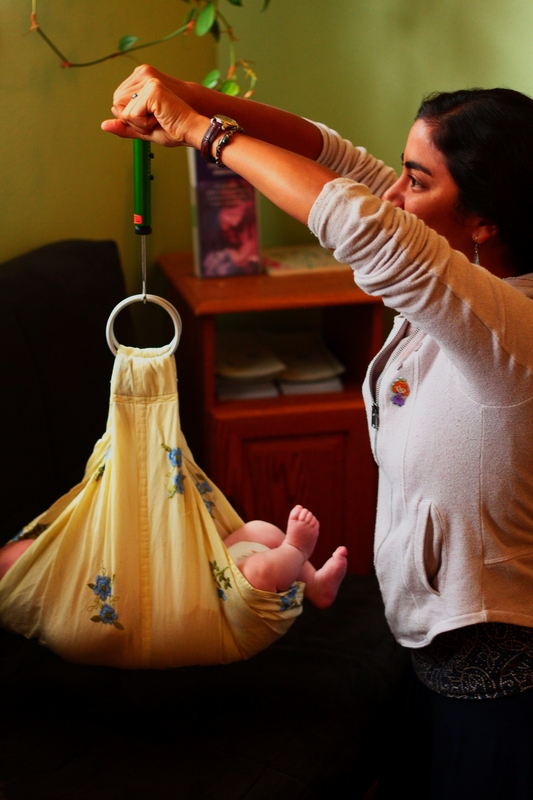 As home birth has grown, the movement has moved further and further from low-income communities and families of color. I offer a community care plan between $2000 and $5000 where families can pay based on family income and family size. Payment plans are always accepted. Many families will use a flexible spending account (FSA) or health savings account (HSA) to pay for part or all of the midwifery care. Cash, check, credit card, or benefits card are all accepted. For clients on Badgercare, I charge $900 or less for items I cannot bill insurance for. I encourage all prospective clients to discuss their financial status and obligations to determine what they are able to pay for midwifery care. No one will be turned away due to lack of funds.